ALLAIN, BÉATRICE 1941 – 2019 It is with great sadness that we announce the passing of Béatrice Allain, 77, on Saturday January 12, 2019 at Villa Providence Inc, Shediac and formerly of Saint-Joseph-de-Kent. She was married to the late Jean Allain (1999). Born in Bouctouche she was the daughter of the late Tilmon and the late Marie (Collette) Cormier. She will be sadly missed by her three children; Henri (Line Morrison) of Dieppe, Guy (Diane) of Saint-Joseph-de-Kent, Carmen Lanigan (Stephen) of Riverview and her two granddaughters; Joline and Janie. She also leaves to mourn her two sisters; Georgine LeBlanc (Louis) and Bernice Maillet (Guy) of Moncton, her two brothers; Ronald of Bouctouche, Regis (Lucille) of Dieppe as well as several nephews and nieces. She was predeceased by one sister Louisa and one brother Raoul. Visitations will be held at Maillet Funeral Home, 29 rue de l’église, Bouctouche on Wednesday January 16, 2019 from 1 to 2:45 pm. Funeral service will be celebrated at Maillet Funeral Home on Wednesday January 16, 2019 at 3:00 pm with interment in the parish cemetery in the spring. 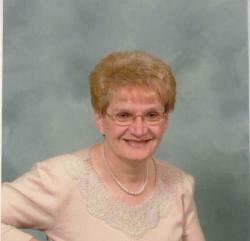 In Béatrice’s memory, donations may be made to the Villa Providence Inc., Shediac.